As a leader in Answerport’s Project Services practice, Tom provides project management services across Answerport’s M&A Advisory, Management Advisory, and Technology Advisory practice areas. He has particular expertise in leading large project efforts, making him instrumental in the development of Answerport’s Project methodology and tools. Hyper-organized, Tom leads teams in the planning and execution of a wide range of challenging projects in a diverse group of industries. He has extensive experience in the practical application of project management best practices, knowledge, skills, tools and techniques having developed flexible and comprehensive project management methodologies, documents, worksheets, and templates to fit situations for mid-sized companies to efforts with Fortune 500 companies. 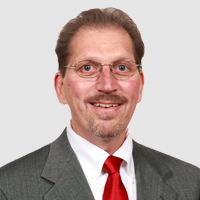 A seasoned professional, Tom has 30+ years of industry and professional consulting experience. He has developed a “business-centric” approach that has proven effective in managing projects and improving business performance. Prior to joining Answerport, Tom held roles in industry and with other professional consultancies. Tom has a Bachelors of Science degree from the University of Wisconsin – River Falls with majors in Economics and Geography. He is a Project Management Institute (PMI) certified Project Management Professional (PMP).